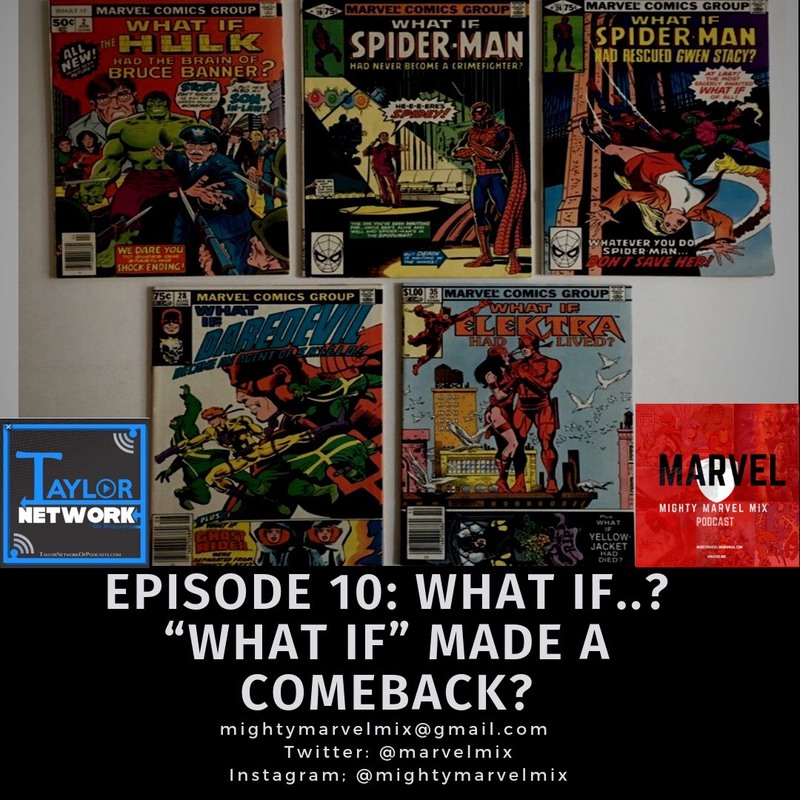 Home › comics › Mighty Marvel Mix Podcast ep 10:’What If’ Made a Comeback? Welcome True Believers, this is the Mighty Marvel Mix, a Podcast brought to you by the Taylor Network of Podcasts. This is a podcast for fans of all things Marvel! Comics, movies, TV, merchandise, we’ve got you covered with news, views and reviews. In this episode, your hosts Paul Shearman and Alex ‘AJ’ Jones are both fighting off coughs and colds, but they bravely soldier on to discuss the rumoured animated series of What If…? as well as the original comic book series it is based on. In a packed show, we’re also discussing the Disney Fox deal being closed, new posters for Spider-Man Far From Home, James Gunn being rehired, Captain Marvel box office numbers, and we talk comics with Spider-Man Life Story, Kraven: Hunted, and Silver Surfer Black all up for discussion.